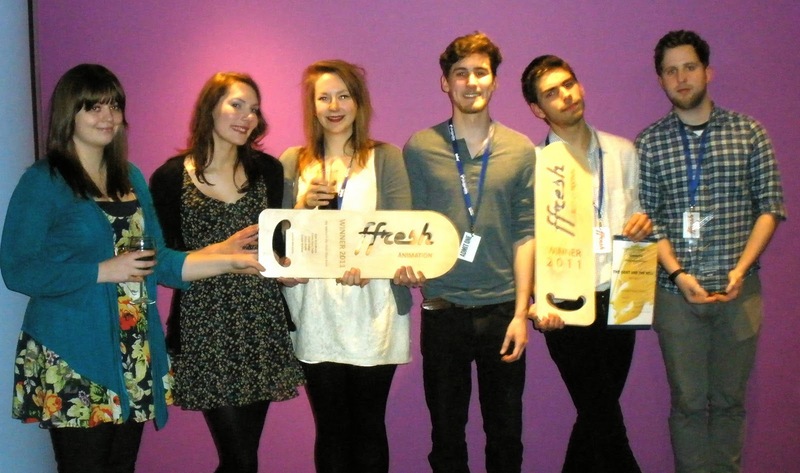 At the closing ceremony for Ffresh Festival in Wales, we won the award for best animation with our collaborative film We Weren't The First Ones Here. The film was made in eight weeks during a project in our second year at Newport Film School. To our surprise we beat graduation film competition but luckily no one lost out; my friend Luiz Lafayette Stockler won the best animation Royal Television Society award and my other friend Ben Cady won best film of the festival. Big thanks to everyone involved in making the film, the composer Jack Vaughan, the actors Catherine McKinnon, Adam Peck, Edith Woolley and thanks to Ffresh as well as Tom Brown and Dan Gray from Holbrooks who judged the award. We Weren't The First One's Here can now be viewed on my website here.